The 21st ITS World Congress is set to begin on September 7th in Detroit and will up to September 11th. The Intelligent Transportation Society of America (ITS America) is the nation’s largest organization dedicated to advancing the research, development and deployment of Intelligent Transportation Systems (ITS) to improve the nation’s surface transportation system. Founded in 1991, ITS America’s membership includes more than 450 public agencies, private sector companies, and academic and research institutions. 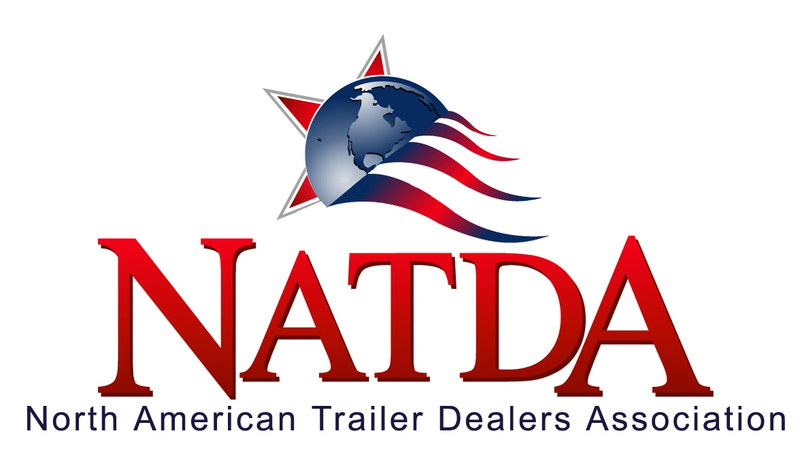 More than 10,000 transportation professionals, engineers, planners, business leaders, innovators, elected officials and public agency representatives from the U.S. and around the world will meet in Detroit to hear about and experience first-hand the latest implementations of ITS technology. Exhibiting at the 2014 ITS World Congress provides unparalleled opportunities for B2B and B2G networking and business growth. There’s a number of great things going at the 21st ITS World Congress. Those who attend will have access to tech showcases, exhibitions, tech showcases, tours, events, awards and much more. 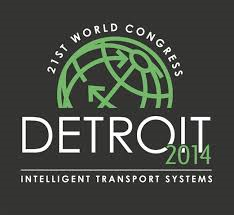 ITS America, in partnership with ERTICO and ITS Asia-Pacific, is excited to welcome you to Detroit this September 7-11 for the 2014 World Congress on Intelligent Transport Systems. America’s Motor City is the perfect backdrop for the fantastic exhibitions hosted on our more than 300,000 sq. ft of show floor at the Cobo Center, the interactive demonstrations of the groundbreaking innovations in our Technology Showcase, the more than 250 riveting programmatic panels, roundtables, and interactive town hall sessions, as well as numerous networking events with an expected 10,000 transportation and technology leaders from around the world. If you want to register or check pricing, please click here. If you have any questions about registering, you can also call Sandra Collier at (202) 721-4214. Saturday September 6th 12:00 p.m. – 4:00 p.m.
Sunday, September 7th 8:00 a.m. – 6:00 p.m.
Tuesday, September 9th 7:00 a.m. – 4:30 p.m.
Wednesday, September 10th 7:00 a.m. – 5:00 p.m.
Thursday, September 11th 7:00 a.m. – 3:30 p.m. The Americas based ITS World Congresses have become known for their technology showcases, featuring demonstrations promoting the latest individual technologies and highlighting the growing integration of intelligent transportation services unfolding around the world. The 2014 Technology Showcase will allow attendees to “touch and feel” as opposed to “listen and imagine.” The technology demonstrations will be integrated into every aspect of the event – program, exposition, and technical tours, as well as networking and social events. Currently, more than 30 demonstrations are being considered. 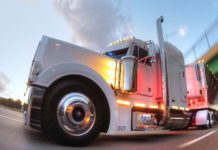 A wide range of technologies will be on display, including connected and autonomous vehicles, electric vehicles, robotics, sensor technology, real-time weather and road conditions data analysis, and many others. Individual companies will showcase their technology, while in many instances groundbreaking teams of companies, organizations, and researchers will collaborate. Every demonstration within the 2014 Technology Showcase will tell the story of how the ITS industry is reinventing transportation in our connected world. It will help promote awareness and a greater understanding of ITS today, increase the connectivity throughout the ITS stakeholder community, and foster international harmonization and collaboration. Monday, September 8th *Ribbon Cutting 10:15 – 10:30 a.m.* 10:30 a.m. – 6:30 p.m.
Tuesday, September 9th 9:00 a.m. – 4:30 p.m.
Wednesday, September 10th 9:00 a.m. – 4:30 p.m.
Thursday, September 11th 9:00 a.m. – 12:00 p.m.
Friday, September 5th 12:00 – 5:00 p.m.
Saturday, September 6th 8:00 a.m. – 5:00 p.m.
Sunday, September 7th 8:00 a.m. – 5:00 p.m.
Thursday, September 11th – 12:00 p.m. – 6:00 p.m.
Friday, September 12th – 8:00 a.m. – 12:00 p.m. Sponsorship is a great way to increase your company’s visibility and showcase to the industry your market leadership amongst the 10,000 researchers, business leaders, government representatives, engineers, and transportation professionals that will attend the 2014 World Congress on ITS. As a sponsor, your organization will have increased visibility at the only event that brings together a cross-section of contacts of this magnitude into one location. Already a sponsor? Make sure to download and display your Sponsorship badge here. The sponsorship opportunities outlined in the 2014 World Congress Sponsorship Prospectus can be mixed and matched to create your own custom sponsorship package. These sponsorships will help your company gain valuable exposure within the ITS and transportation markets and will help to make the 21st ITS World Congress a more valuable experience for all those that attend. The World Congress Hall of Fame awards recognize the highest standards in achievement from the Americas, Europe and Asia in the high-tech transportation community across the categories of Industry, Local Government and personal Lifetime Achievement. Recipients are selected annually from each region based on their leadership and performance in the transportation technology arena. Each category considers the following criteria. A champion of the ITS vision and its fulfillment within and beyond the ITS community. Is a company or research organization that plays a leading role in the ITS community. Is an organization that plays a leading role in the ITS community. Nominees for the ITS World Congress Hall of Fame Awards from the America’s will be selected from the 2014 Best of ITS Award nominations. You must submit a nomination for the 2014 Best of ITS Awards to be considered for the World Congress Hall of Fame Awards from the Americas. 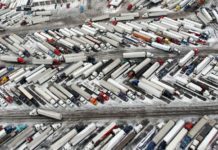 ITS America’s “Best of Intelligent Transportation Systems (ITS) Awards,” annually recognizes the best and brightest of the high-tech transportation community. This is a unique opportunity to be recognized at the premier ITS event of the year in the Americas amongst thousands of public sector and transportation industry professionals, policymakers, and press. This highly competitive program recognizes the organizations whose projects have demonstrated specific and measurable outcomes and exemplified innovation by establishing a “new dimension” of performance. 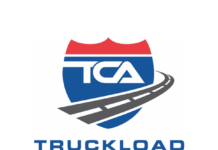 This is a great opportunity for all trucking professionals, especially those involved in new technology. 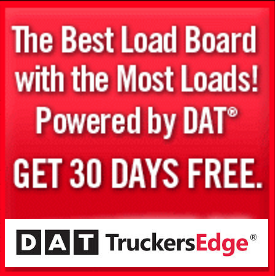 ITS always does a great job with the events and it’s one of the premier trucking events in the world.